Who: Y.S. 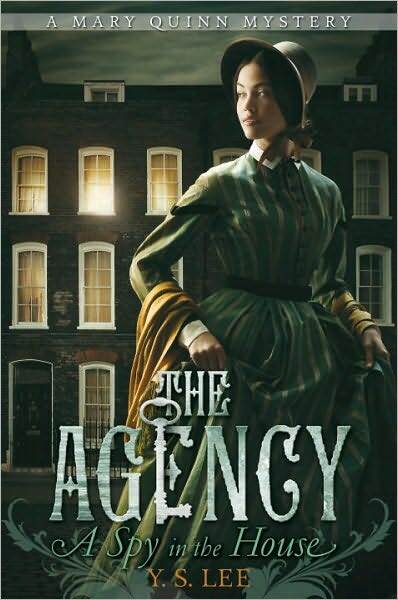 Lee, YA author of The Agency series, about a women’s detective agency in Victorian times. The first book in the series is called A Spy in the House and came out early 2010. Recent Work: Book two in the series, The Body at the Tower released in August and reviewed by Thea HERE. Everybody, please, a warm welcome to Y.S. Lee! I’m so pleased to be part of Smugglivus 2010, talking about my favourite books this year. Thank you for having me, Ana and Thea! 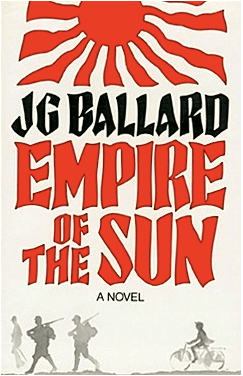 Best historical fiction: Empire of the Sun, J. G. Ballard. 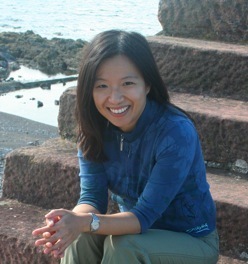 This novel, about a child living in Shanghai during the Japanese attack and occupation of the Second World War, is actually memoir thinly disguised as fiction. Ballard’s writing is exquisite, his vision merciless, his subject utterly compelling. I’ll never be able to forget this book. 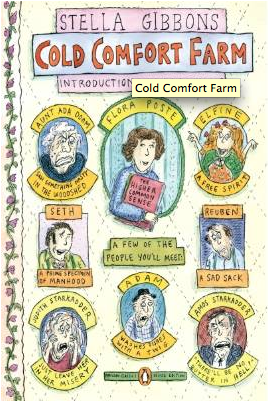 Funniest: Cold Comfort Farm, by Stella Gibbons. This book’s been at the edges of my radar (bookdar?) for ages but it took my friend Colleen at Bookphilia to nudge me into reading it. It’s not funny in the sense that I cried with laughter while reading it. Really, it’s downright odd in places. But oh, the half-life of this book. I read it, then thought about it for days, snickering to myself whenever I did so. Then I made my husband read it, and now all we have to do to start cackling insanely is say, “liddle mop”. Or “water-voles”. Or “I saw something nasty in the woodshed.” We’ve come to resemble the village idiots, thanks to Gibbons. 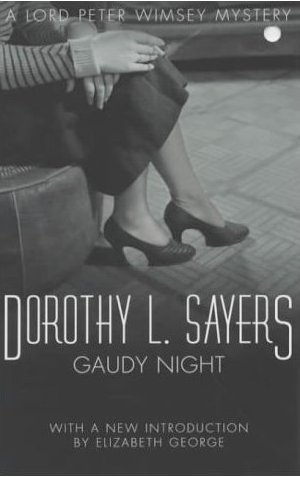 Book I most wish I could have written: Gaudy Night, by Dorothy L. Sayers. I adore Sayers, and I’m ridiculously in love with her sleuth, Lord Peter Wimsey. But Gaudy Night is the best of the series. It’s not only the high point of the golden age of detective fiction but a meditation on the ideals of education, polite society, meaningful conversation, and what it means to love someone. 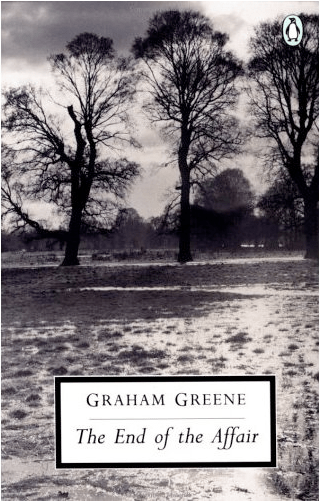 Best classic fiction: The End of the Affair, by Graham Greene. As the title suggests, it’s about the ugly, petty aspects of human nature. It’s worth reading because Greene takes such a mundane subject and turns it into an exploration of passion, faith, guilt, knowledge, and the way we barter with life. Best nonfiction: Forgotten Armies, by Christopher Bayly and Tim Harper. 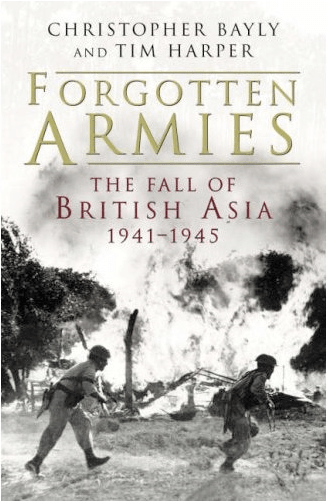 This focuses on the collapse of the British Empire in Asia during the Second World War. It’s wonderfully detailed and subtle, while avoiding an Anglocentric approach – a remarkable accomplishment. I began it for research reasons, but I’ll be finishing it just because it’s great. I’m so glad this came my way. New favourite book of all time: Cloud Atlas, by David Mitchell. I avoided this one for a long time because I was suspicious. I thought it would be overhyped, too clever for its own good, the postmodern bits gratuitous and contrived. My friend Colleen told me I was wrong, and I’m so thrilled to agree that I was; grievously wrong. 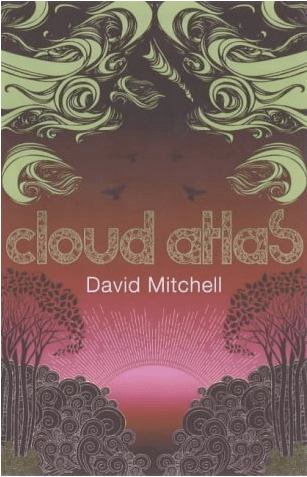 David Mitchell is a genius – a word I use sparingly – and Cloud Atlas is a bold, brilliant, astonishing, multi-faceted dream of a novel. I adore CA too much to say anything properly critical about it, but GOD, everyone should read it. Obviously, I’m looking forward to a bookish 2011. As a writer, next year will see the UK publication of the third Mary Quinn novel, The Agency: The Traitor and the Tunnel in August 2011. It’ll be out in North America in spring 2012 – sorry about the wait! – but I’ll be posting a preview at my website well before then. And I’m working on a new, non-Agency novel set in Malaya during the Second World War. I’m loving the research. Finally, my birthday was yesterday! 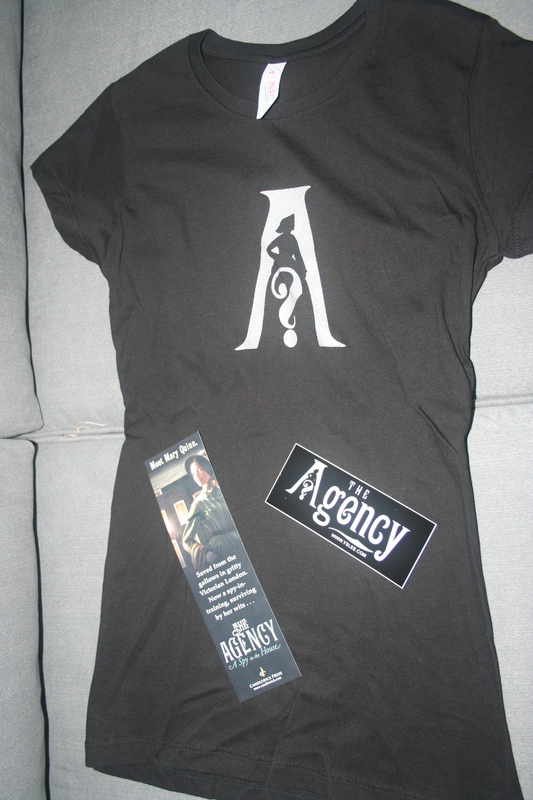 To celebrate, I’d like to offer an Agency prize pack that consists of an Agency t-shirt (the very last one in my possession), bookmark and sticker. To enter, just leave a comment answering this question: What catchphrase or inside joke makes YOU collapse with laughter? Thank you, Ms Lee! And a Happy belated Birthday! You heard the lady! Answer the question (What catchphrase or inside joke makes YOU collapse with laughter?) in order to be entered to win the Agency’s Swag. Contest is open to everybody and will run till Jan 1st 11:59pm (PST). One entry per person, please. We will randomly pick the winner and post it on our January 2nd stash. Good luck! I loved the movie Empire of the Sun as a kid and never occurred to me that it was a novel. Definitely gonna have to pick that one up! I loved the fist two Agency books. Can’t wait for the third! I’m over it now, but a while back my brother and I were huge fans of the Austen Powers movies. He’d go around with his fake British accent quoting Austen Powers at everyone. “Oh, behave!” and “Shagadelic” had me laughing each time. There’s this episode of Dollhouse where Sierra is on the phone with Echo and says “Is this the Chowder Head” and Echo replies “I don’t know”. I’m not sure what it is about that line, but the way she says it cracks me up and now anytime the words I don’t know come out of my or my bff’s mouth, the words chowder head are sure to follow. We say it so often she had to make her boyfriend watch the episode just so he would get it. will always make my husband and I crack up. “Me heap sorry, me smack-um on co-co”. This is from “I Love Lucy”, where Ricky is putting on the Indian show and Lucy and Ethel crack vases on some actors’ head when they came to the apartment to audition. These definitely look like some books right up my alley. Hope to read The Agency soon! Those books look amazing! And for me right now, it would have to be any quotes from A Very Potter Musical and A Very Potter Sequel. I convinced my friend to watch them, and now all I have to do is wave a Red Vine in her face for us to dissolve in laughter and quotes. The word “turtle.” Just that one word will make my best friend and I start laughing because of an innocent question I asked her once about a story she’s writing. It’s an inside joke with my family, but Vardie Farve makes us laugh. Sounds like a great series. For silly catchphrase, have to go with “llama face” or “more broccoli?” from emperor’s new groove (a seriously funny movie). Though In high school my bff and i used to go around saying “if it falls on your head, then you know it’s a rock” from a Tad Williams book. happy birthday YS! hope it’s a good one! cloud atlas may have to zoom up to the top of the stack. been meaning to read number9dream too. My friend and I have a long-standing thing about “put ’em on a combine and let ’em go.” It stems from a time when we were writing comedy sketches about prairie tourism. Didn’t make the cut – we thought it was hilarious but no one else did. Definitely That’s What She Said (I got a magnet in my stocking this year). But also, someone saying “destiny” in a super serious voice, as if the entire fate of the world depends on what’s happening next. I know it’s just me and my sisters, but anytime someone in a movie does that – even if the movie is ridiculously serious – we crack up. ANYtime. Please enter me into your contest thank you! “That’s what she said” gets me everytime. I use it so much nobody else but me thinks its funny, but I don’t care. I don’t know why but it cracks me up everytime. Happy Belated Birthday Miss Lee! 😀 Thank you for the giveaway. My new favourite joke/catchphrase is the “frying pan”. I watched Tangled and thought the cooking utensil was a really cool idea. Then, the other day Dad and I were watching LOTR and there was this scene where Sam used a pan to knock out an enemy! Okay, this is kind of a long story, but every time I say the words “pretty trees,” my best friend and I start cracking up. It works without fail every time. We’re weird like that. His face then drops as the Seagull flies head first into an oncoming bus and dies. It cracked us up and now every time one of us says ‘seagulls’ we laugh all over again. Well, I don’t quite collapse in laughter but I still giggle whenever a friend says to me “Soooo, how about those ceiling tiles?” Back in high school when our lunchtime conversations got really weird a friend and I would use that as a way to change the conversation, although occasionally we saw something up there that we wished we hadn’t. My mom says persnickity, and it sounds horrible. That on top of changing cuss words into, fraking (dude mom that was from Caprica the tv show! geeze), and flutterbudget, crap stix and complaining the cat tossed her cookies when she throws up is just too much for me. I crack up and then she puts some hands on hips and huffs. Ha! I should write a comic on that. Oh My Gosh, is there a point when the alpha male is being an a-hole? well you can say he is such an alpha-hole and it is freaking hilarious. I have been cracking up everytime I have seen it in print. I need it on a poster! This is probably not the funniest inside joke that I have ever been privy to… but it is certainly funny and one o f the few I haven’t gotten over yet. A) I dislike marshmallows. A LOT. B) It has very little to do with marshmallows. In fact, it is about a scientist who is trying to bring her husband back to life using marchmallows and her plan is foiled by her daughter coming in and claiming the marshmallow as her own. And it is just a weird story……… that was written suring a writing excercise in theatre class. But another funny one would be… FACELEN!! Well because it is just about Len Kagamine (one of the Voacloids)…. and STUFF. Happy belated birthday!! My birthday is in a few days and I was too late to order a cake at the store…. (as in I should have ordered it last week) so… well… I don’t know if I’ll have a cake on my birthday. Anyways, yeah. 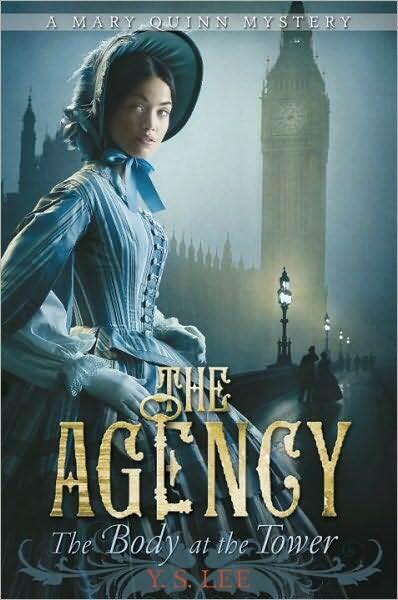 I’ve so far only read the first AGENCY book as it’s the only one at the library but I hope to read the second and third (when it comes out) soon! Our house is bi-lingual and I love the jokes my children make that rely on their accented mispronunciation of English words. I love love love the Agency books! I just finished the second one and really wanted a third to read :). Anyways, my bf and I have a joke that is totally hilarious only to us. It has to do with Mittens the Detective Cat, which you can watch on YouTube. My sister and I have this inside thing going on where when she see’s our grandmother, she says “In ten years….” and we burst into laughter. I really have no idea where it came from, can’t remember, but heck if it never fails to make me laugh! Whenever one of my friends yell “Caw Caw” I can’t remember how this started, but we burst out laughing when we hear it. I am pretty sure my band director thinks we are crazy. Oh…pretty much every non-funny joke makes me laugh like a crazy person. My friends sometimes tell them so they can watch me laugh and then laugh themselves just from watching me. It’s pretty sad actually. Spring of 2012 in the US?! I’m so tempted to get my British friends to send me a copy when August comes. Is this still going? if so Wahoo!!!! if not your still getting my comment.